Please keep those requests coming. Today's is another 'request' in Dusty Rhodes!!!!! When you draw 1+ cards during your Draw Segment, your first maneuver with 'classic' in the title played this turn is -#F, where # is equal to the number of cards drawn. When you draw 0 cards during your Draw Segment, your first maneuver with 'classic' in the title played this turn is +2D. 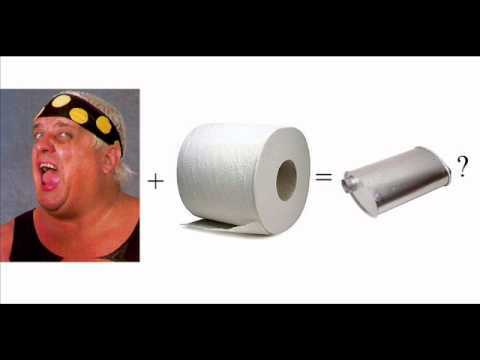 Your Elbow Drop and Bionic Elbow cards are F: 0, +2D, and replace 'Buh-Buh Ray Dudley' with 'Dusty Rhodes' in the text. Cannot be packed when packing Classic Competitor. When packing this card, your maneuvers with 'classic' in the title are not Unique. Your maneuvers with 'classic' in the title are +2D. When one of your Pre-match cards would be moved from your Ring, you may hide this card instead. During your opponent’s turn, when he plays a non-Superstar-specific non-maneuver card, he randomly discards 1 card. During your turn, when you play a non-Unique non-maneuver card, discard 1 card. Cannot be blanked, can be played during any Pre-match phase, and does not take up a Pre-match slot in your Ring. Your opponent's "Your Town" and non-Superstar-specific Manager are blank; at the end of the Pre-match phase, he may put 4 cards from hand on the bottom of his Arsenal; if he does, put this card into your Ringside. 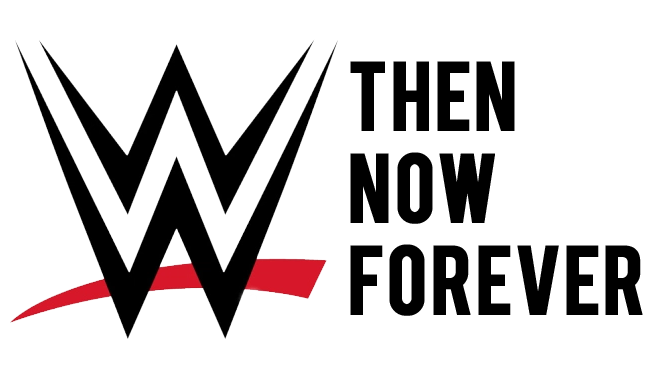 When this card is in your Ring or Ringside, you may remove it from the game to reverse any non-Superstar-specific maneuver. During any turn when you would lose the game via Pinfall Victory, you may put this card into your Ring from your Backlash or Ringside, shuffle up to 10 cards from your Ringside and 2 of your cards removed from the game into your Arsenal, your opponent puts up to 1 Trademark Finisher from his Ring into his Ringside, and end the current turn. Can only be played after a successfully played 4D+ maneuver or as a Counter (to a maneuver). Can only be reversed by Unique reversals from hand, or from Arsenal. As a maneuver, this card is -#F and +#D, where # is equal to twice the number of cards drawn for your Ability this turn. When # is 0, cannot be reversed by non-Unique cards. You may put Maintain Hold from your Ringside into your hand. When played, this card is +3D for every card drawn during your Draw Segment this turn; when this card is 20D+, it is Multi. When you drew 0 cards during your Draw Segment this turn, this card cannot be reversed from hand or Backlash. When played from hand, reverse any maneuver and shuffle up to 4 cards from Ringside into your Arsenal. This card ignores Hell in a Cell Match. Shuffle this card and up to 2 cards from your Ringside into your Arsenal. When this card would be removed from the game, put it on the bottom of your Arsenal instead. Shuffle any number of cards with logos also on this card from your Ringside into your Arsenal, draw up to 3 cards, and your opponent puts 1 random card from his hand on the bottom of his Arsenal. Shuffle any number of cards with 'classic' in the title from your Ringside and/or your hand into your Arsenal, then draw up to the same number of cards moved from your hand +2. I'd say very, Dusty can draw or recover depending on who the opponent is and how you tailor the deck to alter either player's superstar value. Better than Wrestlemania, in my opinion. Pack this with Writing Checks and/or Gooker and Survivor Series and Dusty can live forever, baby. Who doesn't love constant cycling even in a cell? Jeez! I haven't yet but I mean to. Obviously Legend Support. Classic maneuvers are sweet, especially with Common Man because you can pack three copies of the best ones! He seems to be one of those decks that can out draw and out live the opponent. Looks like a fun build. He's good, he's more prone to be heel than face (so NOT Dusty-like) because Classic Knee to the nuts is just too good to pass on having three of them, and nitpicking and choosing the ones you like best (aka the actual good classic moves, Claw/Bulldog Lariat and the knee to the nads) and then working around them is a solid plan! A real Dusty Finish in Raw Deal would not have had Dusty in the match necessarily, but you escape a loss, then win anyway, only to have to play again to get a real result. Yeah. The Dusty Finish got its name from Dusty's booking, not his own matches. So I'm guessing we may never see a "Dusty Muffler" card. Dang it! His next support card will be 'HE'S GOT A BICYCLE!' though. YOU go find a picture for that card, thanks. And keep it to yourself. Forever. Dusty is really fun but depends heavily on the luck of yr draw. Is an auto counter to non win con stall deck since u can basically skip draw segment thus can almost nv get counted out. I went face with rockchester (to put back cards like divine, since u draw 3 everyturn, though os cagematch is damn annoying), bitter rivals (to prevent opp from playing belt or to play product tb 1st), product tb and old sch psychology. Pump kick and poke into bionic elbow is damn sweet, though this build is a 100% eating an old sch brawl deck. But since it was built ard can only be reverse style anyway, with pokes, precision sleeper, bionic elbows, shoot lock up, classic bulldog lariat, classic claw & his 3 hard to revese but low dmg specific moves. Dusty really can last damn bloody long as long as opponent dun have a win con, ultra aggro E.g.Lesnar volley/lashley or have irritating tmf/specifics. E.g. Styles clashes. 85% of the time he will outlast opponent to a count out win. Playing this deck really requires knowing when to reverse and when to non reverse, sit back and wait for opp to count out himself. In a nut shell, nd to be extremely patient and initial praying for some gd initial draws.